I've been super busy lately - juggling a couple of other 'projects' in my life with Cottontails, so I've asked Rudolph to plan our Easter campaign. 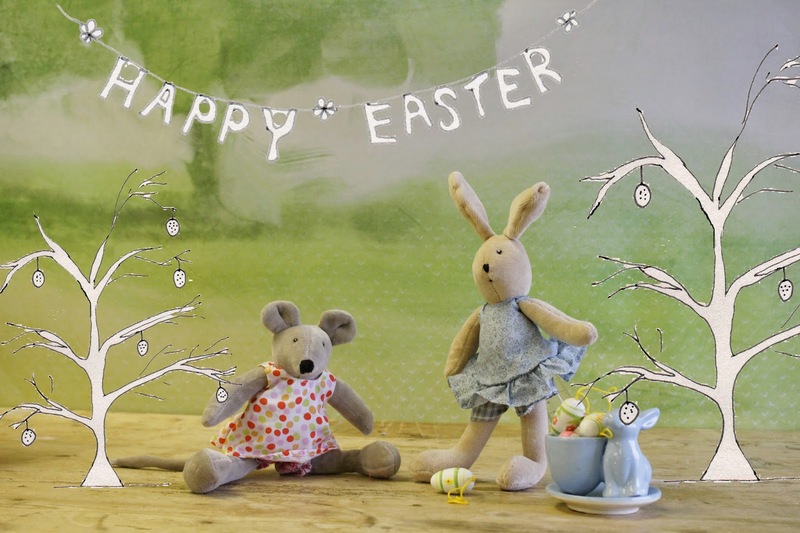 Obviously Easter is a very important time of the year for Cottontails - and it's probably our favourite time too. Rabbits galore! So who better to plan the season than our very own resident rabbit? I confess I had some misgivings at first. I tasked him with the job last week, but he didn't seem to do a great deal with it. Mainly just sleeping under the desk and in the doll's crib. But he was obviously just mulling it all over, and during the weekend he leapt into action, ordered some stock and created some marketing materials. 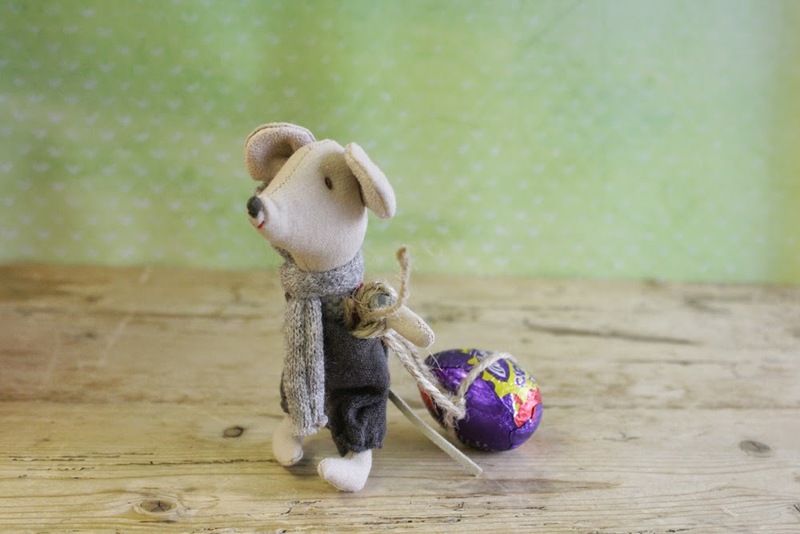 So here's a sneaky preview of just a little bit Easter. Coming soon to Cottontails! First he created a Happy Easter image. Clever rabbit. The first creme egg of the year! That mouse pulling a cream egg is just the cutest thing!